Mr. Larry Yancey, age 66, passed away on Thursday, August 30, 2018 at his residence in Durham, North Carolina. Mr. Larry Yancey was born on October 9, 1951 to the late John Dee Yancey and Gearline Bobbitt Yancey. He joined Lawson Chapel Baptist Church at an early age and attended Person County Schools and was a member of the Class of 1969. 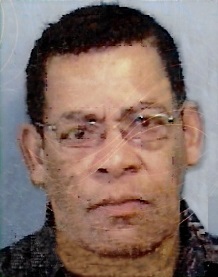 Mr. Yancey is survived by his mother, Gearline Bobbitt Yancey of Roxboro, North Carolina; two sisters, Yvonne Yancey Warren and Marguerite Yancey Cash both of Roxboro, NC; one brother - Earl Wayne Yancey of Roxboro, NC; two nieces - Jerikka Williams and Erika Yancey, both of Roxboro, NC; four nephews - Johnathan Warren, Earl Demond Yancey, and Edgar Dewayne Yancey, all of Roxboro, NC, and John Cash (wife Stacey) of Burlington, NC; two aunts -- Shirley Bobbitt Clay and Blondell Smith Bobbitt, both of Toledo, Ohio; and a host of relatives and friends. The family will receive friends at the home of Mr. Yancey’s sister, Marguerite Cash at 3449 Hurdle Mills Rd. in Roxboro, NC. ​would like to thank everyone for the many acts of kindness that they received after the death of their loved one.